Previous Meeting: This is the first meeting between these teams. How they got here: The Anarchy secured the fourth seed by winning their last four games and winning the Idaho Division, going 5-3. 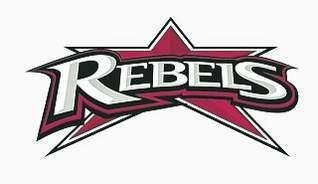 The Rebels finished second in the Utah South Division with a 7-1 record and have the fifth seed with a wildcard bid. Players to watch: Quarterback Misi Tupe has led the league in rushing all season and will look to go past the 1000-yard mark today. Sione Tapuosi and Rimo Mapu have both rushed for over 300 yards and 5 touchdowns. Brennan Adams has 465 yards and five touchdowns receiving. Defensively, safety Brandon Thompson leads the team in tackles. Linebackers Kaleo Teriipaia and Andrew Misa are right behind with 26.5 tackles apiece. Defensive linemen Wayne Alofipo and Jordan Main join linebacker Doug Roberts in tackles for loss. Safety Shawn Mitchell leads the team in interceptions. Trend: The Rebels are in unfamiliar territory — responding after a loss. They suffered their first loss of the season and fell dramatically from the first seed to the fifth. Their loss was to Wasatch, who they beat on their home field in the first game of the season. Ideally, the Rebels and Revolution should have the top two seeds as they are arguably the top two teams. Even though they both finished 7-1, Dixie lost the division on the tiebreaker. That second-place finish dropped them to the fifth seed. Arco will face a group of Rebels who are not happy that they have to travel eight hours. Players to watch: Quarterback Bryndan Belnap is one of the RMFL’s leading passers, completing 60 passes for 784 yards and 12 touchdowns against only 5 interceptions. His favorite target is Brad Cook, who has 31 receptions, 10 going for touchdowns. Brandon Peebler leads the Anarchy in rushing with 258 yards. Defensive back Ryan Udy and linebacker Jeb Harrison lead the team in tackles. Defensive end Kenny Surber leads the team in sacks. Harrison also leads the team in interceptions. Trend: After starting the season 1-3, the Anarchy have reeled off four straight wins, with the last two outscoring their opponents 94-0. They are an expansion team that has taken advantage of a fairly weak schedule. No team on their schedule made the playoffs. It will take a perfect game for them to stop the Rebels. Game outlook: Expect the Rebels to punish the Anarchy for their loss last week to the Revolution. The Anarchy lost to the only two common opponents (Cobras and Generals) quite handily. And these same opponents were used by Dixie to implement new sets and get their second and third stringers playing time. This game will be a blowout, and it will be a blowout early. Dixie has seven lineman on its roster at 300-pounds or more. The Anarchy have none. Expect the Rebels to take advantage, amass over 400 yards rushing and score over 40 points.